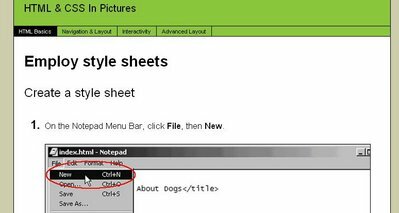 Funded by the Department of Education, In Pictures is a free site that hosts picture-based tutorials for common office productivity suites like Microsoft Office and Open Office. Common how-to software manuals are full of words, which for most users immediately brings on a migraine, but In Pictures has about one-tenth as many words as a typical book. Big screenshots: These screenshots show step-by-step instructions for how to do common tasks like formatting text to adding up two columns of numbers. Project-based: Each software tutorial is goal-oriented. You can follow along from beginning to end to complete a project, or just skip to whatever section you want to brush up on. The tutorials are very impressive. You can find them available for Microsoft Office (Access, Excel, Word, PowerPoint, and Publisher), Open Office (Writer, Impress, Calc, and Base), and web design (HTML, CSS, and Dreamweaver). Interestingly, they're looking to keep the site afloat through banner advertising revenue, which goes to show how powerful Google's Adsense framework is for supporting all kinds of web-based ventures. Look for tutorials on Adobe Photoshop, Fireworks, MySQL, PHP, and Perl later this year.